Living a Fit and Full Life: Pamper Yourself with Luxury Skincare at its Finest from Rituals! 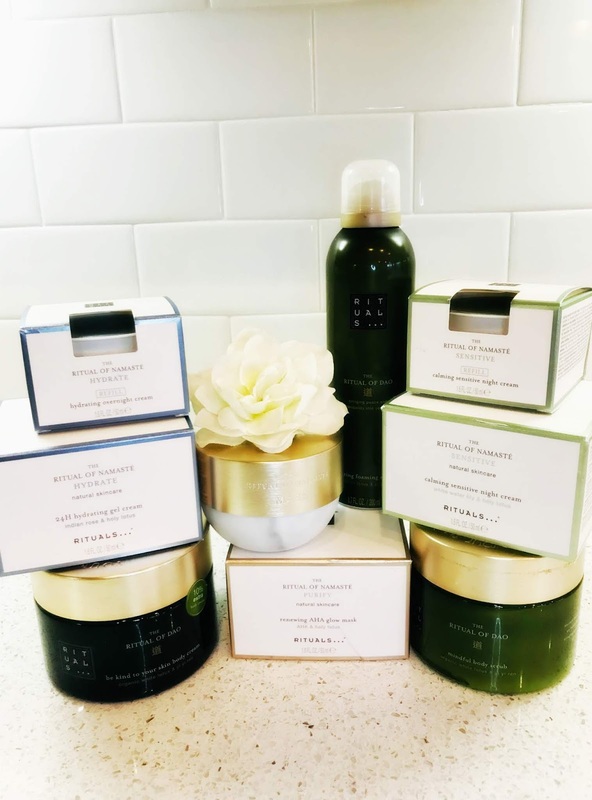 Pamper Yourself with Luxury Skincare at its Finest from Rituals! Rituals is the first brand in the world to combine Home & Body Cosmetics. Each product, over 550 in total, is inspired by an ancient Eastern tradition. Ready, set, glow! 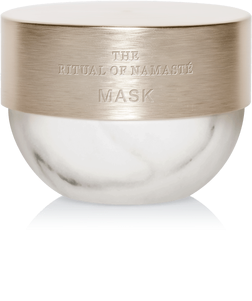 This facial mask from The Ritual of Namasté contains natural AHA, designed to increase cell turnover and boost your skin's radiance. It lightly exfoliates your skin, providing a natural, radiant glow to your complexion. Like the rest of the Glow line, it features some of nature's finest ingredients: holy lotus and saffron flower. Healthy skin starts with proper hydration--it is an essential step in your soulful skincare ritual. Maintain the sparkle of younger-looking skin with this gel cream moisturiser for intense hydration. Containing an active hydrating complex of hyaluronic acid and Indian rose, it deeply quenches and smooths the skin. Natural plant-based antioxidants help to protect the skin from the negative effects of urban pollution. Special skin requires special care. This calming and moisturising night cream is designed for sensitive skin--including a fragrance-free formula that hydrates the skin overnight. Because it contains the natural and calming extracts of white water lily, the cream helps to reduce redness and irritation. Dermatologically tested on sensitive skin, it is non-oily and leaves the skin feeling revitalised. Give your skin the rest and replenishment it needs with a night-time ritual designed to restore your skin while you sleep. 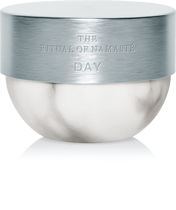 This overnight cream from the Hydrate line of The Ritual of Namasté features an active complex with hyaluronic acid and Indian rose to replenish the skin's moisture balance. Advanced, natural skincare that leaves your skin feeling refreshed and ready for a new day. 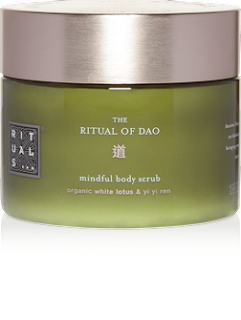 Treat yourself to the most relaxing exfoliation experience ever with this body scrub from The Ritual of Dao. Composed of ultra-fine Chinese bamboo particles and a rich cream base, the scrub gently yet thoroughly removes dead cells, leaving a smooth, hydrated and younger-looking skin. Calming white lotus and nourishing yi yi ren extract combine for an utterly soothing scrub experience. Pamper yourself with luxury skincare at its finest from Rituals! Rituals is a brand that I've only recently discovered but absolutely love. I had the pleasure of trying the products above and I'm incredibly impressed! THE RITUAL OF NAMASTÉ GLOW MASK from Rituals is amazing! If you want glowing, healthy skin then this mask is a must have. It contains natural AHA that is designed to increase cell turnover and boost your skin's radiance. It also lightly exfoliates your skin to provide a natural, radiant glow to your complexion that you will love! Rituals' THE RITUAL OF NAMASTÉ HYDRATING GEL CREAM is incredible! As someone who suffers from dry skin, I've found this product to be incredibly helpful to hydrate my skin. This product contains an active hydrating complex of hyaluronic acid and Indian rose to deeply quench and smoot skin. It also contains natural plant-based antioxidants to help to protect the skin from the negative effects of urban pollution. It's a must have from anyone with dry skin! 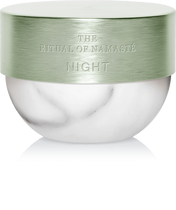 Rituals' THE RITUAL OF NAMASTÉ CALMING SENSITIVE NIGHT CREAM is an amazing night cream! It's a calming and moisturizing night cream that is designed for sensitive skin. Its fragrance-free formula hydrates skin all night long and gives you a radiant glow by morning. I also love that it helps to reduce redness and irritation, leaving my skin calm and gorgeous come morning time. It's the perfect night cream for all skin types! THE RITUAL OF NAMASTÉ HYDRATING OVERNIGHT CREAM from Rituals is another amazing night cream that you will love! It's designed to restore your skin while you sleep and leaves you with healthy radiant skin in the morning. It features an active complex with hyaluronic acid and Indian rose to replenish the skin's moisture balance. It leaves skin feeling restored and healthy! THE RITUAL OF DAO SHOWER GEL from Rituals is my new favorite shower gel! It smells heavenly and leaves skin feeling incredibly clean and hydrated. It's the perfect way to get cleaned up! Rituals' THE RITUAL OF DAO BODY SCRUB is an amazing body scrub! It's a relaxing exfoliation experience that will make you feel like you just stepped out of a spa. It's composed of ultra-fine Chinese bamboo particles and a rich cream base. It removes dead skin cells, leaving a smooth, hydrated and younger-looking appearance. It's the perfect way to slough away dead skin cells that will leave your skin feeling smoother than ever! 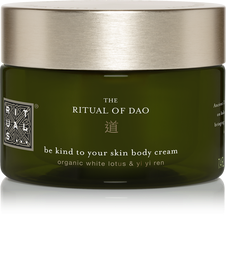 THE RITUAL OF DAO BODY CREAM from Rituals is the most luxurious body cream around! It hydrates like none other and leaves skin feeling baby soft. I also smells incredible and will leave you with gorgeous skin, every time! Rituals has everything you need to pamper your skin and help you look your best! 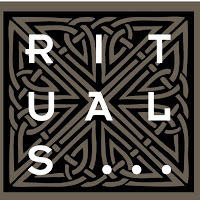 Click HERE to find a store near you that sells Rituals! Click HERE to learn more about Rituals! Follow Rituals on social media! Pamper Your Skin with Luzern! Get Gorgeous, Healthy Skin with DermaQuest! Perfect Your Look with Urban Decay! Amp Up Your Makeup Routine with Elizabeth Arden! Look Your Best with Josie Maran Cosmetics! Get that Perfect Glow with St.Tropez!